Funny looking spinach but I was a very bad blogger and while in Italy didn't post nearly as much as I thought I would which means I do have some things left over to write about from my time there - this spinach is one of them. 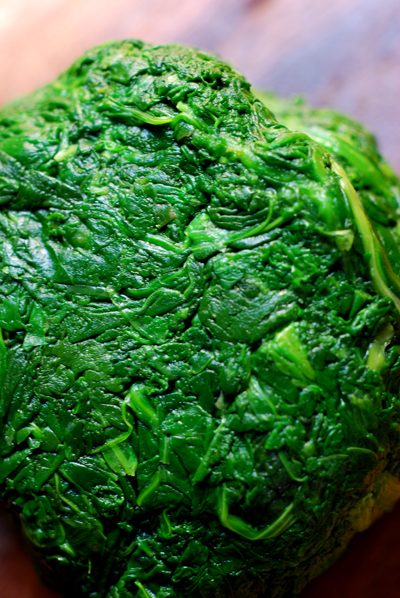 Whether it be in the market or some little shop, you would see these balls of boiled spinach or cime di rapa or chard available. I'm not really a person that buys pre-made things but when in Italy, do as the locals do. It's called Stracchino and it is a soft and creamy cows milk cheese with a rather mild flavour, you see it used in Piadina in Tuscany and Emilia-Romagna. 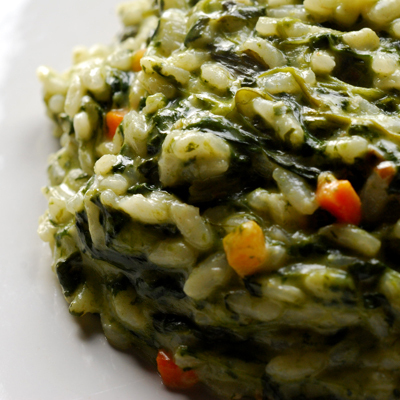 Added at the end it gives the risotto a wonderful creamy texture - it's cheesy without feeling heavy and with the spinach, I thought it made a perfect match. Heat a little oil and a good amount of butter in a deep pan over a medium heat and when the butter has melted add the onion, carrot and celery - sauté until softened but not coloured before adding the rice. Cook the rice off until the grains are glossy and have become a bit translucent. Add a ladle of bubbling stock - it should evaporate pretty quickly and when it has, add another, remembering to stir the rice as you do to keep it fluffy. Once this stock has been absorbed, continue to add stock, you can increase the quantity of stock you add each time but remember to keep an eye on the pot and to stir the rice well. About half way through the cooking time add in the cooked spinach. When the rice is just about ready and the last of the stock has been absorbed add in the Stracchino stirring it vigorously into the risotto - taste and adjust the seasoning. 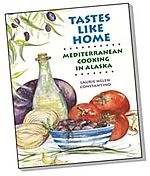 If you have any leftover, then this makes a great base for arancini. I know how this tastes...us Greeks have a dish called Spankorizo and it's similar. Now you got the light bulb in head blinking! 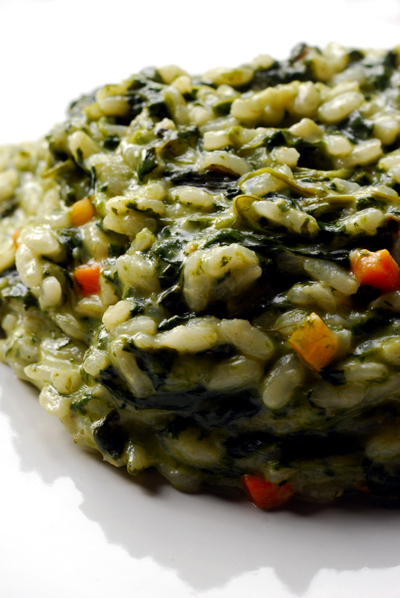 Lovely risotto; the spinach and creamy cheese - perfect! Stracchino is one of my favorite cheeses. If I close my eyes I can taste it. Great dish! where do you find acquerello? in melbourne or sydney? It must be a delicious dish Peter! Thanks Katie - goat cheese would be great! Sorry Adam, I don't know if Acquerello is imported to Australia, I used this in Italy and even there it wasn't the easiest thing to find. Best option would be to contact Acquerello directly and ask them. I just got an order of this cheese from an direct from Italy online supplier...! That looks so great. 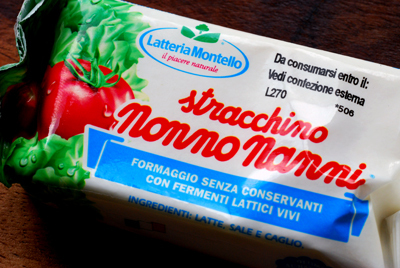 Do you know where to buy stracchino? I had some at Pizza e Birra and my wife stole it from my plate! Lucky you Jacob, I hope you enjoy it! Thanks Neil - In Italy, you can buy this even in the supermarket, not sure where you can find it here, maybe the usual suspects like Enoteca Sileno or Mediterranean Supermarket, I know it's not at Prahran Market. I think it will probably be way more than €1! I'm glad you got to relax and not spend all your time blogging! And now you can tell us about it later. This sounds wonderful. I haven't had this cheese, but I notice that Simona has given it a big thumbs up! thanks for the reply - i took your advice and contacted them directly. i spoke to him, there are a couple of retail places in Sydney (including Fratelli Fresh) not so many in Melbourne but he thinks you can get some at the Wine & Cheese Providore in the Docklands. Thanks Kalyn - it's a great little cheese that converted me, I think I made three risottos this way. That's excellent news Adam - I'll have to wander over to docklands and find out if they have it. I'll be really interested to know what you think of the rice and if you notice any differences. This looks great. I was just googling to see what I could substitute for stracchino - one site said cream cheese, another said teleggio, another said mascarpone. What do you think? Thanks Laurie - I would rule out cream cheese and mascarpone, Taleggio is good but just too strong on its own. I would try using a mix of bocconcini (baby mozzarella) or Fior de Latte and Taleggio, The Bocconcini or Fior de Latte should melt and give you that creaminess and the Taleggio should supply a bit of acidity.